BMW and Daimler are to merge their mobility offerings in a deal that will bring fleets a single source for everything from ride-hailing to EV charging. The merger includes car sharing through the DriveNow and Car2Go businesses. Although the carmakers said they would remain competitors in their respective core businesses, the new agreement will see them create a 50:50 joint venture to combine and strategically expand their work on mobility services, with a particular focus on developing solutions to meet the challenges of sustainable urban mobility and evolving customer needs. Subject to approval from regulators, the joint venture will cover five areas, including multimodal and on-demand mobility through Daimler’s moovel and BMW’s ReachNow services, which offered connected mobility solutions including booking and payment. 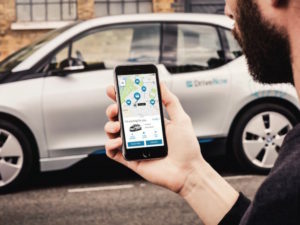 Following months of speculation, the tie-up will also see the carmakers merge their Car2Go and DriveNow car sharing solutions, which currently operate a total of 20,000 vehicles in 31 major international cities, with a combined usership of 4 million customers. The agreement will cover ride-hailing through Daimler’s current mytaxi, Clever Taxi and Beat and Chauffeur Privé services. Digital parking services will also feature, including help finding, reserving and paying for off-street parking in a garage, building on the solutions currently offered by BMW’s ParkNow and Parkmobile Group/Parkmobile businesses. The agreement will also support the expansion of electromobility through charging solutions offered through the BMW ChargeNow and Digital Charging Solutions subsidiaries. The merger will provide the carmakers with a solution to compete with established giants such as Uber, Lyft and Didi Chuxing in China.